Habits are automatic processes, typically something we consider a practice, or routine, and is hard to give up. So think of something like brushing your teeth or smoking. 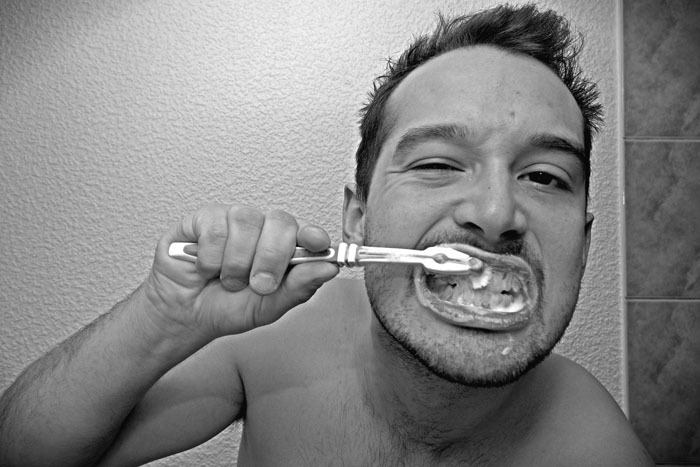 We’re taught to brush our teeth in the morning upon waking and at night before going to bed. This keeps your teeth healthy. Smokers have a habit of lighting up at certain periods throughout the day. Too much smoking has mounds of evidence that it’s a horrible habit. Drinking coffee, having breakfast, how you tie your shoes, and your morning commute, are all examples of daily habits. They’re so ingrained in us that we often do them without much thought. In the book, The Power Of Habit by Charles Duhigg, he estimates that more than 40 percent of your daily actions are not conscious decisions, but unconscious habits. So almost half of your daily actions are probably automatic—so much so you won’t even be aware of them until you decide to be. Are your daily habits healthy? Are they unhealthy? How do you know one way or the other? We’ll cover that in full in a moment, and it’s probably not the answer you’d expect. But first, you must understand how both good and bad habits come to be. We’ll cover this in full in part 2, but I want to give you some background first. The cue or trigger is what initially gives your brain the signal to perform something automatically. The cue/trigger always precedes the habit. The habit is the triggered routine. It can be physical, mental, or emotional. The reward is what comes right after doing the habit/routine, and it gives your brain the message that typically feels good. The reason Charles calls this a loop is because each step feeds into the next and with most habits, it just keeps going. Once it starts, and your brain recognizes it as being pleasurable or beneficial, it becomes automatic. Think of something you’ve been doing your whole life seemingly on autopilot. Brushing your teeth in the morning comes to mind for me. This habit of toothbrushing is so ingrained that you don’t have to think consciously about it. Something triggers you to begin the process of brushing your teeth. It could be waking, finishing a meal or preparing for bed. Upon finishing, you get not only the clean taste in your mouth but a feeling of cleanliness. A feeling that has kept you brushing your teeth for years, but only exists because of the advertising world. In The Power Of Habit, Duhigg references a man named Claude Hopkins. His job was to sell more Pepsodent brand toothpaste. To make sure this happened, he sold the idea of tingles and a minty taste as a result of your brushing habit. He understood the tingles and minty flavor were not necessary for dental health, but it was the actual brushing that’s so important. But first, he had to find a way for people to associate a particular feeling or signal that it was working and repeat the process on a regular basis (and to keep buying Pepsodent whenever they ran out). The sensation from the minty flavor did the trick. People craved the tingles, and as a result believed their teeth were clean. The loop was created, habits were formed. Pearly whites everywhere. Claude Hopkins engineered a habit for thousands upon thousands of Americans (and millions more shortly thereafter) by feeding into the Three-Step Loop. This same habit loop can be used to create positive habits in your life, which help you, lose body fat, build muscle, and most importantly, maintain your results. You must know how to implement the process. 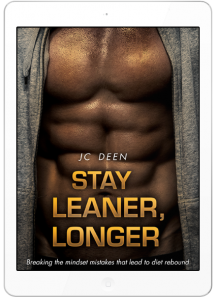 The section above is taken from my book Stay Leaner, Longer, where I cover the topic of habits, and how they affect us, plus the mindset required to maintain your fitness results. Most of the time when you hear or read something about improving your health, it revolves around a good intention. Something like the notion of eating better, exercising more, de-stressing your life, going to the doctor, starting a meditation practice, or even the suggestion to smell an orange because some obscure research suggests it lowers your stress levels (yawn). The problem with this advice is the lack of context and the insistence that said advice is right for everyone. It’s an authoritarian viewpoint—and since some health ideas are seemingly so set in stone, doing anything else is deemed unhealthy. What’s worse is most of the advice is rarely practical, and if it is, there’s no instruction on implementation. 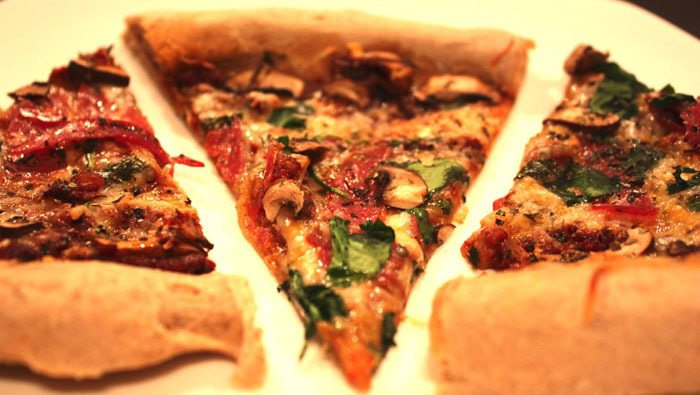 image credit: Kasey Shuler / pizza can be healthy, no? When we try to define healthy, there’s no simple definition. Most would say to live a life of moderation but as human beings, that’s not in the cards for many of us. And if you’re training intensely, focusing on your nutrition, working a lot, and living your life, the word moderation may not be in your vocabulary. However, one’s view of a moderate life could be extreme to another. It’s all about perspective. A quick example is someone who trains 6 days per week. To an outsider—someone who’s not physically active—this might be seen as obsessive or extreme. But to the heavily trained individual, it’s normal because of their history with physical culture. Before we can define our habits as healthy, we have first to figure out where we stand in our quest for good health. Then we have to look at our history. What does good health mean? What does the life of a person with good health habits look like? How do they act? What do they eat? How do they live? Bad habits can rule us like no other, and we might not even be aware of it. I get emails every single day from men and women telling me they can’t control their eating habits. They refer to themselves as lazy. That’s why they’re not in shape and haven’t reached their fitness goals. One lady wrote to me and said she eats ‘healthy’ during the week but blows her diet over the weekend because of uncontrollable binges. She feels deprived because of healthy eating during the week that she can’t control her cravings over the weekend. I had a man write to me saying that he used to go to the gym 4 days per week in the morning, but he got into a bad habit of staying up late playing video games. And now he sleeps in, hitting snooze over and over until it’s time to go to work. Bad habits are often hard to break because they give us short-term pleasure and because we crave routine. It’s a battle of instant gratification and the long term reward of discipline. Humans are creatures of habit, and even despite something causing us to break down and make us sick, we have a hard time changing because we are desperate for familiarity. Bad habits are also hard to break because they mostly need to be replaced with new habits. Many times, we’re simply unaware of our bad habits… things like staying up so late has negative effects on the following day. or giving into fast food at work, or going through the drive-through instead of eating at home. Giving into fast food at work, or going through the drive-through instead of eating at home can ruin our fat loss efforts. And when we’re completely unaware of what’s not working for us, it’s hard to make the changes we want to make. But just because we label a habit as right or wrong for us, it doesn’t mean it’s the same for everyone. Claiming a particular behavior (habit) as healthy for everyone is most always going to be shallow, mediocre advice. Certain habits can be detrimental to some, while it might completely change the lives of others. The worst part about most of the simple advice for improving your health habits is that most of them rely on absolutes. And for anyone who understands anything about how diverse circumstances concerning humans can be… you know absolutes rarely exist. So when someone tells you to adopt a ‘health habit’ such as drinking more water or wearing sunscreen, you must first think critically about the recommendation and determine whether or not it makes sense for you. While the everyone should stay hydrated, this advice can be both good and bad. If you’re the type of person who never drinks water, always finds yourself quenching your thirst with sugary drinks, then this advice might be useful for you. If you’re the health-conscious person who exercises daily and already gets plenty of water through your beverage and food intake, adding more water might be detrimental in that it could cause mineral loss, and throw off electrolyte balance. This is especially true if you are lugging around a gallon jug of water and peeing every 30 minutes. 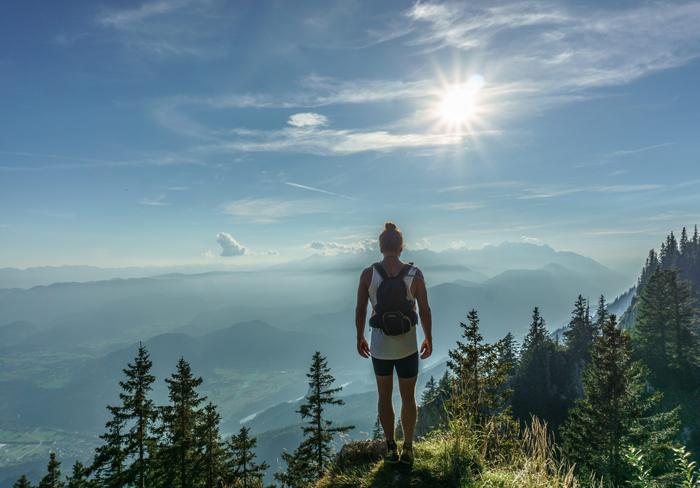 It’s well and good to put yourself through one of those obstacle courses, a 12-week shredding challenge, or to go for a long hike reaching a summit you’ve never climbed before, but what does this do for your health habits? Obstacle courses could put you at a high risk for injury (people have drowned during these events). There’s even some data showing that 51% of 737 CrossFitters experienced some form of injury within a year of being polled (source). Some food challenges deemed as healthy are often highly restrictive (and create a horrible relationship with food). Many of the exercise recommendations are too intense for the uninitiated (telling someone to do a strenuous hike when they rarely walk around the block is a BAD idea). And plus… most of those people you see who succeeded with a grueling challenge are only those who successfully made it to the end. But what about all the others who tried and failed? You won’t see or hear about them due to survivorship bias. This is the case where 100 people signed up for a challenge, and only 5 people made it through. We rarely question what happened to those we don’t see. Eating a meal-replacement bar to curb cravings was their idea. 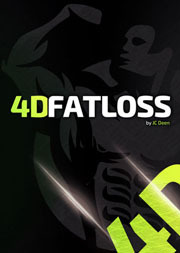 They even said it would get you into the habit of eating smaller, more frequent meals for faster fat loss. (hint: smaller, more frequent meals probably won’t make a lick of difference). This might be a good health habit for some whose diet is full of junk food. But for many, it’s a waste of money when you could spend that same $3 on a few apples instead. This health habit is not all bad, but it’s not all good, either. We should aim to protect our skin because hey, we only get on meat suit to play around in. But this advice must be met with some context. Here’s where this advice can be horrible: Take the average American working a 9-to-5 job in a cubicle. They wake up, drive to work and sit all day long in an office building with no direct sun exposure. The only light they get is the brief sunlight when walking into the building (maybe), and the blue light emanating from their computer, tablet, and phone screens. When they go home, they’re continually showered with artificial light up until bedtime. It’s been drilled into our heads for decades now that there’s a direct link between sun exposure and skin cancer. But did you know we need sunlight to thrive? So does most other life on earth. Countless studies are showing the benefits and need of Vitamin D (which is made in our skin from direct sunlight exposure). One study even suggests Avoiding The Sun Is As Dangerous As Smoking. Here’s another study that’s pretty easy to understand regarding the role of sunlight for human health. To whom would this health habit apply? Most likely the person who is exposed to the sun for extended periods of time and runs the risk of burning. But just blindly wearing sunscreen because you’re going to get some sun exposure could be doing you a lot of bad if you’re low on sunlight, to begin with. Due to the media’s constant need to demonize macronutrients, many people are afraid of sugar. Some say it’s the cause of obesity in the West, while others claim it has therapeutic properties. Here’s where it could be good advice: take a person who is obese, sedentary, and living off of junk food. If their goal is to lose body fat and get into better shape, avoiding extra sugar is a good start. What about someone who’s very health conscious and trying to be absolutely perfect with their diet? Someone who’s aiming to be very strict with their diet might take it to the extreme and miss out on the benefits of carbohydrates in their diet. Sugar is another word for carbohydrates. Despite how you feel about the difference between complex and simple carbs, they all break down to glucose. So if that health-conscious person is trying to be healthier and buys into the supposed health habit of avoiding all sugar, they might cut it out completely. And when you cut out entire food groups, you’re NOT moving toward better health. I’ve written on this a ton, but clean eating has so many iterations it’s impossible to define. Labeling food as clean and dirty carries some heavy psychological weight. You’re better off using my 85/15 principle of learning to eat a whole food diet while allowing for the occasional treats and indulgences to satisfy your cravings and never feel deprived. The 85/15 principle is simple: make sure 85% of your daily intake comes from whole, nutrient-dense foods, and then eat whatever else you want to make up for the rest. I’ll cover that in another article. Why everything you know about creating new habits and goal-setting is probably wrong. The most powerful concept I know to help change your behavior (it all has to do with how you actually perceive yourself). A simple, but powerful, 5-step habit creation framework you can implement immediately.  To join a tribe of folks dedicated to improving their fitness, you should join my private Facebook group (I’ll have to approve you manually). If you need personal help, you can apply for 1-on-1 coaching and we’ll jump on the phone to discuss your goals. So…with the advice about drinking water. You are the first person I know who has corrected this. I consistently was border-line anemic and my electrolytes were always off. My doc and I discussed everything I was doing and I grabbed my water bottle and drank it down in front of him…he sat back and asked how much water I was drinking…apparently too much. I’ve cut down quite a bit and my numbers have been great since then. Yes, it’s one of those ideas that just seems to be accepted when it can be very individual based on many factors.